TNT Amusement and ATMS, LLC has been in business since 1989. Once upon a time, two very good friends decided one day it would be really cool to buy a video game and put it out in a location to see what would happen. That first video game was "Stargate Defender" which was placed in our first location; a Dairy Queen. Thanks to a friend who gave us the opportunity to make a go at our new business venture and was open to placement of the video game in his establishment. This was the beginnings of TNT Amusements and ATMS, LLC. The video game did well enough that the two friends made the decision to increase their game inventory and locations for an even better profit. The two friends bought 5 or 6 more games and placed those games in numerous family owned Pizzerias throughout the Atlanta, GA area. After 3 years, as life does progress, the two friends went in different direction and split the route and the rest is history. TNT Amusements and ATMS, LLC has continued to grow and increase in size and services ever since. ATMS were added back in 2012 to the services we provide. Our first ATM was placed in a restaurant in Jackson, GA and we continue to increase our area of coverage every day from Atlanta to Columbus, To Marietta, Conyers, Covington, Fairburn, Fayetteville, North Georgia, South Georgia and even parts of Alabama to name a few. Our locations range from Laundromats, bars, skating rinks, restaurants, kid centers, convenience stores, retail stores, shopping center/malls and we look forward to adding you and your business to our ATM and Amusement games location family. We are here to provide you with loads of FUN and stacks of CASH for your treasured and valued customers. 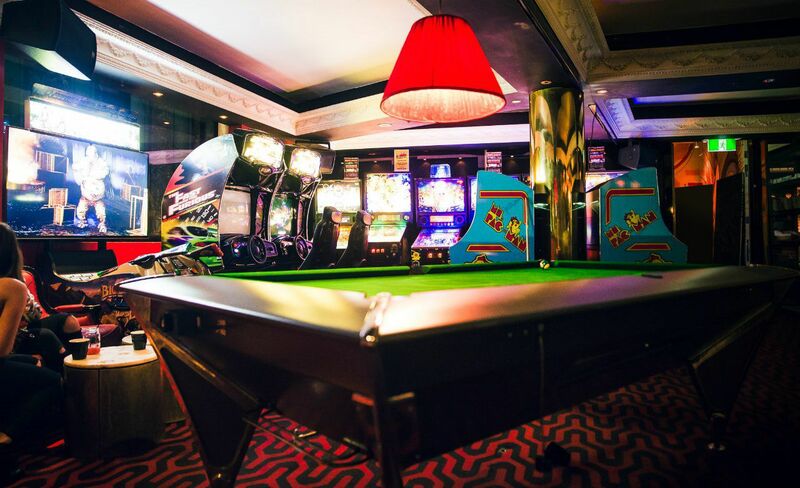 Put INSTANT CASH at their fingertips and provide never ending FUN with Classic Arcade Games, Pool Tables, Phoos ball, Crange games, Golden Tee, Boxing, shooting, driving games, Internet and Class Juke Boxes to keep the rhythm flowing and your customers dancing to the beats enjoying the atmosphere of your establishment. Everyone's happy and spending money as they have a fantastic time making memories. Thank you for letting us be a part of it all.